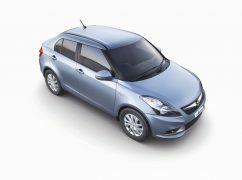 Maruti Swift Dzire Diesel Automatic Price Announced! INR 8.39 Lacs It is! Maruti Suzuki has further expanded its range of the popular Swift Dzire sedan by introducing an automatic diesel variant equipped with AMT. With this, the DZire becomes the first diesel car – in Maruti Suzuki’s portfolio to be offered with AGS technology. Mr R S Kalsi, Executive Director Marketing & Sales, Maruti Suzuki India Limited, said, “Auto Gear Shift, a two-pedal technology, enables customers to drive with comfort and convenience, especially in congested city conditions. This convenience is available to them at an attractive price, without any compromise on fuel efficiency. Maruti Suzuki introduced the AGS technology in India with Celerio and we currently offer it in Alto K10. and WagonR also. It has been very well accepted by customers. We are delighted to now offer Auto Gear Shift technology in DZire diesel as well.” He added: “DZire, one of India’s most successful cars ever, will become even more attractive with the convenience of Auto Gear Shift technology.” Read on to find new Maruti Swift Dzire Diesel Automatic Price. Details of AMT, Mileage and Photos. The Maruti Dzire Diesel Automatic price is Rs. 8.39 lacs (ex-showroom, New Delhi). The AGS transmission is be available in the top end ZDi variant only. (ZDi Manual Transmission ex-showroom Delhi price Rs 7.90.) Notably, the petrol Dzire already comes with an automatic option, but that unit is a conventional 4-speed gearbox. The new DZire with AGS delivers a fuel mileage of 26.59 Km/l, which is same as that of the manual transmission. The AMT gearbox that is used in the Maruti Swift Dzire diesel AMT variant is a 5-speed unit manufactured by Magneti Marelli, much like its other AMT offerings. The car does not get any cosmetic upgrades apart from a badge on the boot. It is being said that soon the SHVS technology, which is available on the Ertiga and the Ciaz, will be made standard across all the variants of the Dzire D. This move seems logical since all the three cars here utilize the same 1.3 Multijet diesel-engine and the manufacturer will not be needed to make significant modifications to accommodate the SHVS. The AMT gearbox has been gaining popularity in India thanks to its cost effective nature and low running costs as it does not affect the fuel efficiency. Apart from Maruti Suzuki, Tata is another manufacturer which offers AMT equipped cars- Nano GenX AMT and Zest AMT. The Swift Dzire AMT is a direct competitor to the Tata Zest AMT which is priced at INR 7.25 lakhs (XMA) and INR 8.07 lakhs (XTA). Stay tuned to Car Blog India for more on the new Maruti Swift Dzire Diesel Automatic price and other details on the new AMT variant.